I just got the final cover last week, and I have to say: I love it. I think the color is perfect, and I really love that there is not an image beyond the type on the cover. 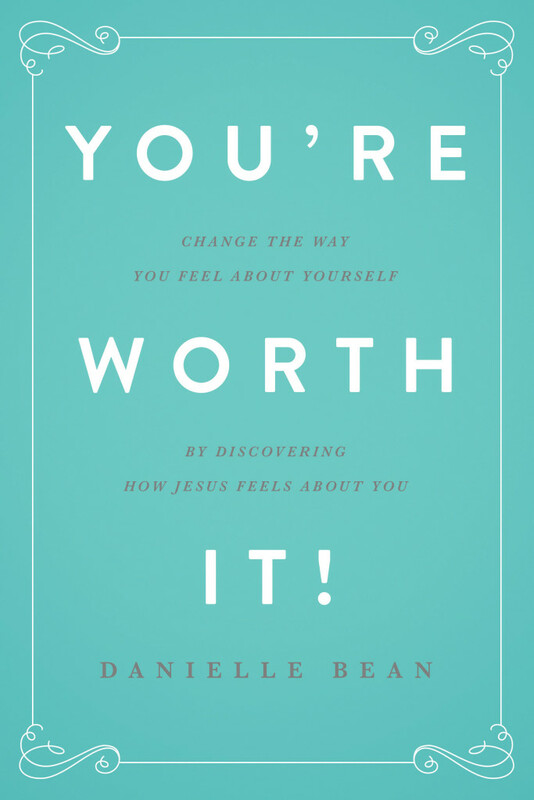 I think cover images can sometimes be confusing or limiting or distracting from the message of the book, and this is one book I want to be sure every reader experiences in the way God wants her to. I say HER because this is a book written just for women. I am really eager to share it with you because its subject is so close to my heart. You’re Worth It! is a book to encourage every woman to develop a close relationship with Jesus. Every woman wants to be loved, and this book shares about the soul-satisfying, life-changing kind of love we can only get from Jesus. I explore seven themes, based on Jesus’ real-life interactions with real women in the Gospels, and share what we can learn from them about God’s unique love for women. Stay tuned here for more details about You’re Worth It! 2 comments to Coming Very Soon … My New Book! I listened to you describe your book on the Housework episode of the podcast. I’d love to use parts of it as a women’s retreat at my parish. I can’t wait until it is available for purchase. How much longer to wait? The book will out next month (hopefully!) and a workbook/DVD series will follow in the next 6 months or so. Thanks so much for your interest!